We’ve seen the Golden Gate Bridge go down in Call of Duty: Advanced Warfare’s E3 demo. We’ve taken in homing grenades and double-jumps in Advanced Warfare’s multiplayer. But nothing about the game has proven as compelling as that first Spacey speech in its reveal trailer. There, Francis himself dismissed democracy as overrated, and freedom as nothing next to the promise of “boundaries and protection”. It turns out that monologue – alongside much else in Advanced Warfare’s plot – was inspired by a real-life story. An anecdote from pre-war Iraq. 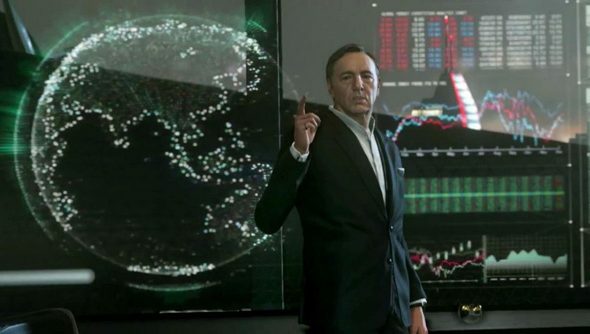 Sledgehammer co-founder Glen Schofield told IGN that there is “definitely politics from today” embedded in Advanced Warfare’s plot – and that the kernal of Spacey’s speech was found in a friend’s anecdote. “A friend of mine escaped from Iraq back in 2000, before the war,” said Schofield. “His family escaped from Iraq, but three years prior his uncle was arrested and was going to be put to death. On Saddam Hussein’s birthday, however, Saddam let him go. Saddam did that: every year he let a few people go on his birthday. In the past, Call of Duty’s geopolitical ambitions have extended only as far as an antagonist with a menacing Eastern European accent. Are you expecting more from Advanced Warfare?